On SiteBuilder Editor hover on more menu on the navigation bar. 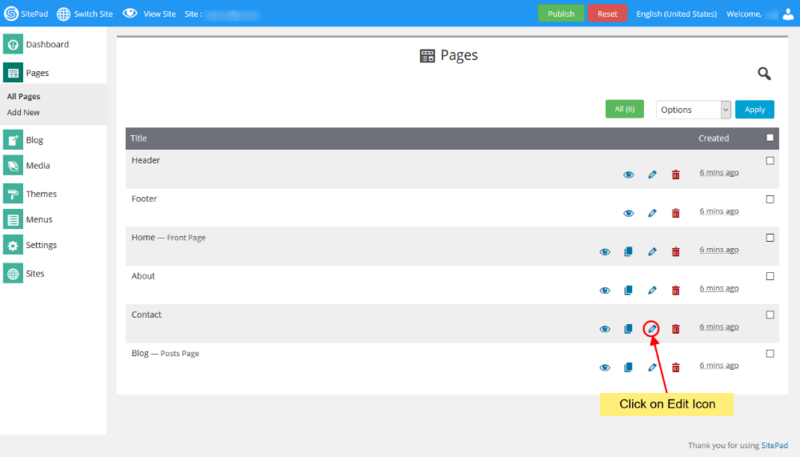 When you hover on more menu three buttons will be drop down i.e Reset Page, SEO Options and Custom HTML. Click on Custom HTML. On clicking Custom HTML you will see a dialog box will appear. Insert Custom HTML code for Header in the given textarea.